The most fascinating way to live one's life is to travel the world and reminiscence the memories made from around the world. Travel magnifies human emotions and broadens one’s perspective towards life. When considering a travel from West Palm Beach to Miami, we are looking at traversing one of the most beautiful paths of Florida, a seaside fantasy rich in great food, warm weather and welcoming beaches. This stretch of 72 mile road between West Palm Beach and Miami offers an impressive glimpse of “The Sunshine State”. How far is Miami from West Palm Beach? About 72 miles. Taxi is the best option if you want to take the trip at your own pace and wish to just sit back and enjoy the road journey. Taxi means saving time on check-in and boarding. Uber runs some of the cheapest forms of taxis from West Palm Beach to Miami. UberX is the low-cost Uber service that costs between $63-85 for a single trip. With other Uber taxis options like UberXL, UberPOOL, LUX and LUX SUV, you will be able to choose the right taxi to suit your requirement. The road trip is 71.06 miles and it takes about 1.14 hours to reach Miami via road. The other taxi option is to choose from the various taxis offered by other private transport companies in Palm Beach, Florida. Taxi Fare Finder lets your book your taxis online and schedule a pick-up and drop point of your choice. The Palm Beach Taxi Fare Finder shows taxi rates by the Palm Beach, Florida taxi rates and the costs start from $221.55 for a single journey trip from West Palm Beach to Miami. Driving on your own is the best option if you plan to see it all by pulling over at places thru the journey. Whether you are driving your own car or renting out a car to travel from West Palm Beach to Miami, there are two suggested routes for this road journey; via I-95 S - 71.6 mi - 1.11 hours and via FL-869 S and I-95 S - 91.5 mi - 1.31 hours. With car rental companies offering one-way and return drive options, you get to choose whether to drive your way back from your destination or to choose other means of transport on your way back. You will find great rental car deals throughout West Palm Beach City and airport locations. You get to choose from car types like Economy, Compact, Intermediate, Standard, Full Size, Intermediate SUV, Standard SUV and Minivan. The car rental prices start from $14 a day when you choose an economy car. Tri-Rail is a passenger railway managed by SFRTA - South Florida Regional Transportation Authority that links major parts of Florida. The Tri-Rail West Palm Beach Station is located at 203 South Tamarind Avenue. Tri-Rail passenger trains operate every day from West Palm Beach to Miami. There is a train that departs to Miami Airport every hour starting 4:06 am till 8:46 pm. This stretch of 70.9 mile rail road runs along the Southeast Florida coast and comprises of 18 stations along the way. The weekday tickets for a single journey from West Palm Beach to Miami Airport are priced at $6.90 and the same tickets cost $5 during weekends or holidays, their daily passes are priced at $5. Tri-Rail also provides monthly passes for this route which are priced at discounted rates. The rail journey time for this route takes a total of 2.22 hours. RedCoach U.S.A is a convenient and affordable alternative to flying and driving for travelers throughout Florida. RedCoach is South America’s largest transportation company that has been in the transport industry for over 50 years. The RedCoach terminals and bus stops are strategically located in main cities all over Florida plus the company adds new routes every month and continues to connect every part of the state. The RedCoach bus fleet is furnished with the latest technology plus upmost security & safety to ensure travelers experience a truly exclusive motorcoach experience. 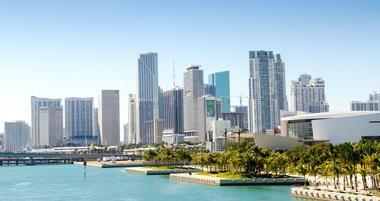 RedCoach USA offers Business and First Class service in the buses that run between West Palm Beach to Miami. The travel time to cover this route is 1.20 hours and the ticket prices range from $11 to $31 depending on the type of tickets purchased. Greyhound is yet another bus transport service provider that operates buses from West Palm Beach to Miami. The bus journey via Greyhound takes 1.35 to 3.40 hours and the ticket prices range from $10 to $15; the online tickets cost lesser than the offline tickets. The Greyhound buses provide toilet facility, air conditioning, extended leg space for all seats and free Wi-Fi in every bus. The Greyhound buses running this route connect the Greyhound bus stops; West Palm Beach Greyhound Bus Station and North Miami Beach Bus Station. Google suggests three routes for bike journeys from West Palm Beach to Miami; via US-1 S - 6.16 hours (72.9 mi), via S Ocean Blvd - 6.36 hours (76.3 mi) and via N State Rd 7 S and N University Dr - 7.05 hours (81.4 mi). West Palm Beach is a biker’s haven that is considered the "bicyclingest town in the USA" for the place is blessed with year-round biking climate, even terrain and cemented streets. These West Palm Beach cycling trails suggested by mapmyride offers some of the most magnificent postcard-like intracoastal views and picturesque sceneries. The city of Palm Beach has also introduced a bicycle-sharing system named SkyBike to encourage bike usage among tourists, residents and downtown workers alike. Miami is a perfect place to cruise on a bike and you have not had the authentic Miami experience till you take the South Pointe Park’s paved walkway and witness its 360-degree oceanic view. The other popular bike destinations of Miami are Oleta State Park, Rickenbacker Trail, Amelia Earhart Park, South Beach Boardwalk and Shark Valley. The Palm Beach International Airport (PBI), located three miles west of Palm Beach Town serves Palm Beach County and Greater Miami. The airport embraces around 200 daily flights on 13 airlines which offer non-stop service to over 25 destinations and connecting service to destinations all over the world. In 2014 the airport ranked as the 52nd busiest airport as it served 6.5 million passengers during that year. Other than four levels of easily accessible and affordable parking options, PBI offers state-of-the-art airport facilities from free Wi-Fi to fine dining options. Because the cities are so close together, there are no direct flights from PBI to Miami; the flight travel time inclusive of layover is between 4.15 hours to 14.40 hours. Airlines like American, United and Silver Airways fly from PBI to Miami via stopovers like Charlotte, Atlanta, Tampa, Washington DC and Newark. The flight tickets start from a range of $178 to fly this route. 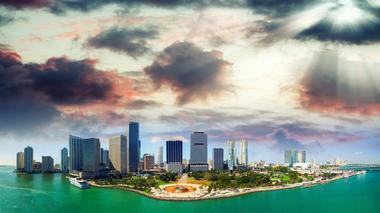 When you reach Miami via flight, you will land at the Miami International Airport (MIA) located near downtown Miami. It is the primary airport in Miami and also South Florida’s primary airport for international long-haul flights. In 2011 MIA was ranked 1st in the US for hosting the highest number of international flights and was ranked 2nd for its highest number of intercontinental passenger traffic. MIA offers world-class experience to passengers coupled with expanded international route network for passenger and cargo. 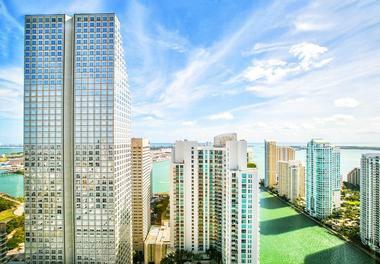 West Palm Beach is one of the three main cities of South Florida that enjoys a beautiful tropical rainforest climate. All the attractions at West Palm Beach are easily accessible by public transport means; a free downtown trolley provides conveyance around downtown West Palm Beach like Clematis, City Place and Waterfront districts of the city. The city’s water taxis at the port provide to and fro transportation to downtown Clematis Street District, Sailfish Marina Resort, waterfront attractions, Peanut Island and other special events that take place in the vicinity. You can hire a bike tour to McCarthy's Wildlife Sanctuary, relax at Okeeheelee Park and check out the Ann Norton Sculpture Gardens by walk. This list of West Palm Beach Attractions lets you check out the many things this city has to offer. 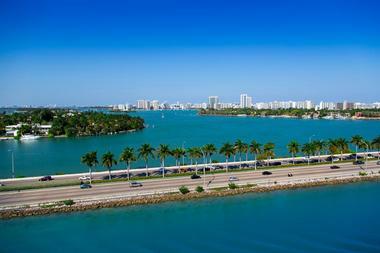 One can witness Florida's intoxicating beaches and rustling mangroves in Miami. It is one of the favorite winter getaway travel destinations frequented by people to bake in the sun and party all night; influenced by the colonial charisma of St. Augustine, Miami is home to throbbing nightlife. The clear water oceans are always calling for sailing, swimming and adventurous water sports. 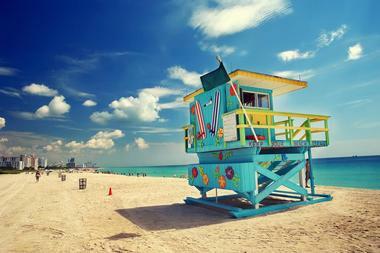 In addition to lazing on the white powdery beach sands while enjoying the sun and surf, here is a List of Best Things to do in Miami that is a must checkout to plan your trip at Miami. 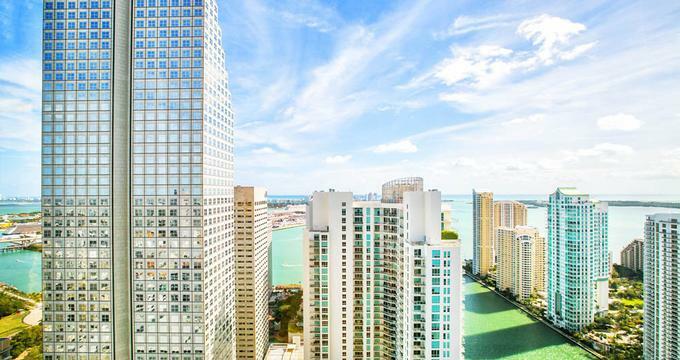 From the glamour of Palm Beach to the quiet expanse of the everglades, almost every visitor is sure to find something to love in Miami.